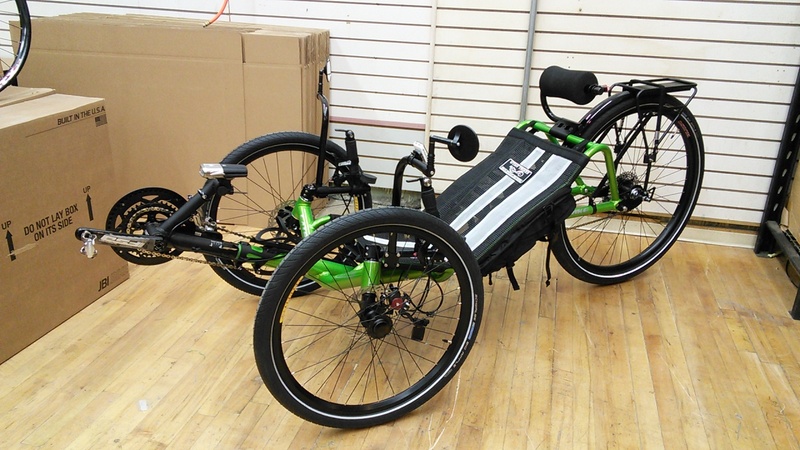 The Catrike Annihilator X-Series trike is the ultimate touring machine. We took everything about the classic Expedition and ANNIHILATED IT! Bigger Gearing (up to 252 speeds!) + Bigger Wheels (29 in Back / 24 in Front) + Bigger Comfort (Custom Headrest & Custom Seat) = Annihilator X-Series. 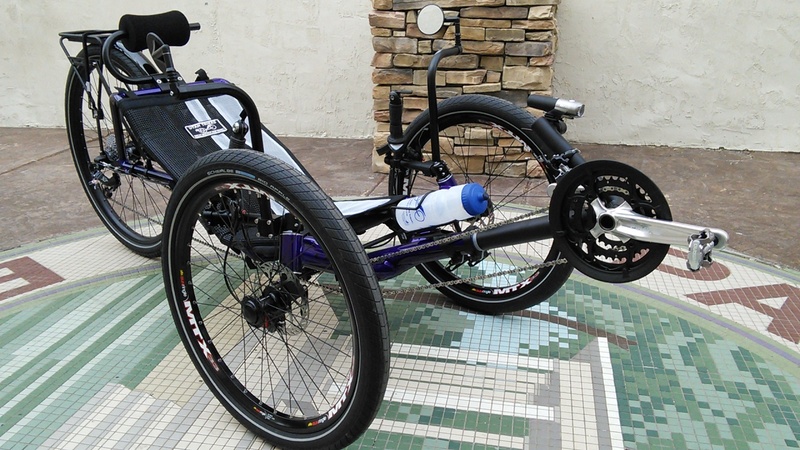 The X-Series can traverse terrain that would stop lesser recumbent trikes. 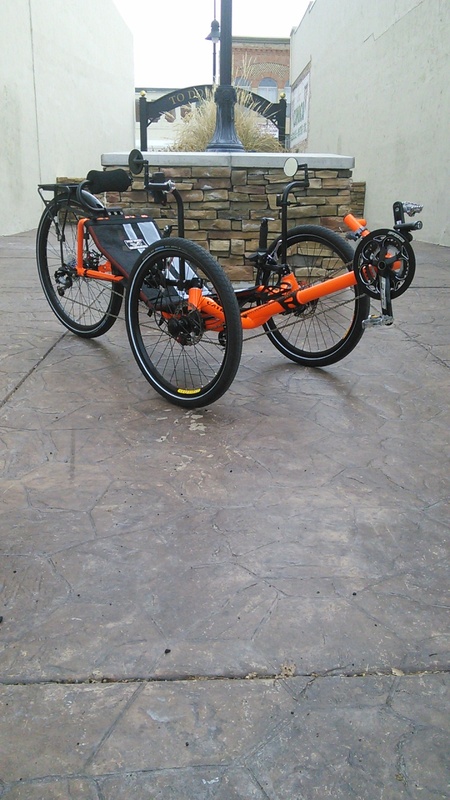 The Catrike Annihilator X-Series is the perfect trike for commuting, touring, and everyday riding. 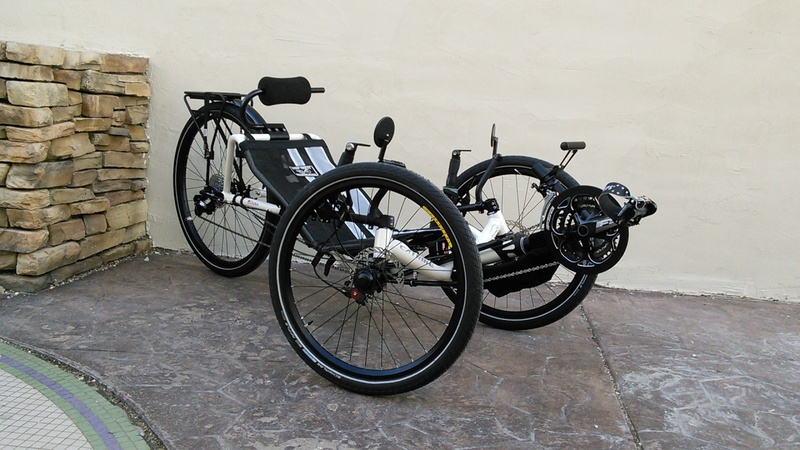 The Annihilator X-Series features adjustable handlebars and a boom that can be sized to fit riders from 5'1" to 6'6". Its higher seating position and larger profile make the Annihilator X-Series more visible on the roads and highways. The higher ground clearance, larger tires, and INSANE gear range let you take the roads less traveled. or an 18-speed Pinion Drive! The EXPEDITION became the X90 and now becomes the X-Series - It's lightweight, fast design and the riding comfort it offers made it an excellent candidate for some incredible upgrades. We recommend the 90-Speed version with the Pinion C1.9XR up front and 10-speed DRAM cassette in the back because, let's be honest, you can never have enough gears when you are on the road. But, the choice is yours! Whether you need low gears for the long climbs on a fully loaded tour or want crazy high gears for all out racing, we have the options to give you lower low gears and higher high gears than standard derailleur gearing can offer. 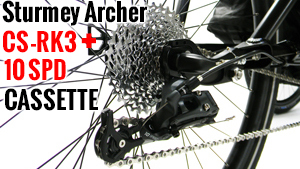 We are offering two choices of cranksets with the Annihilator X90. 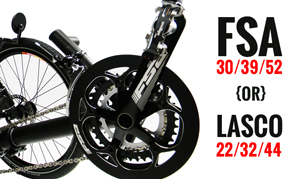 For all you speed demons, we offer the FSA Gossamer 30/39/52 with 165mm cranks and an amazingly high gear range of 17-174 Gear Inches. Or, for the spinners who want more climbing gears, we have a custom Lasco 22/32/44 crankset with a lower gear range of 13-147 Gear Inches and 152mm cranks. Both cranks come with an integrated chain guard. We took the wheels to the next level and BOOSTED all of them up in size. We replaced the Expedition's stock 20-inch front wheels and upgraded them with 24-inch MTX Custom wheels. On the rear we took the stock 26-inch wheel and BLEW IT UP to a WHOPPING 29-INCHES with the Velocity Blunt 35 rim. We matched the wheels with Schwalbe Big Apple tires to make the ride SUPER comfortable while keeping rolling resistance low and the speed up high. Speaking of comfort, we even swapped the smaller Catrike Neck Rest to our acclaimed Super Headrest with its integrated taillight mount. 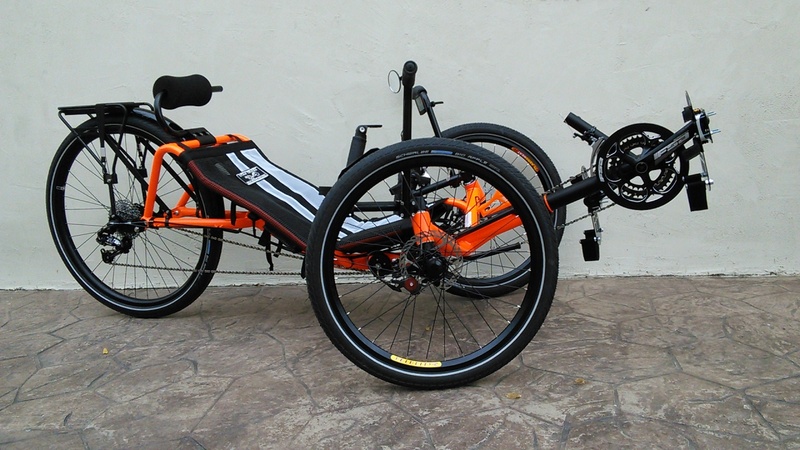 For ultimate comfort and ventilation on the road, the Catrike ANNIHILATOR X-Series features our custom UT performance mesh seat. We've been perfecting this seat mesh for nearly a year! Not only does our custom mesh have extra padding and awesome RACING STRIPES, it's a full 2-inches longer for even BETTER back support. And that's not all! Our Performance Seat Mesh has a HUGE built-in cargo bag that includes an insulated pouch for a 3-liter water bladder and LOADS of room for your daily travel gear. If you want even more storage we recommend adding our cargo rack with integrated fender ($65) which allows you to mount any of our pannier bags and/or a trunk bag. 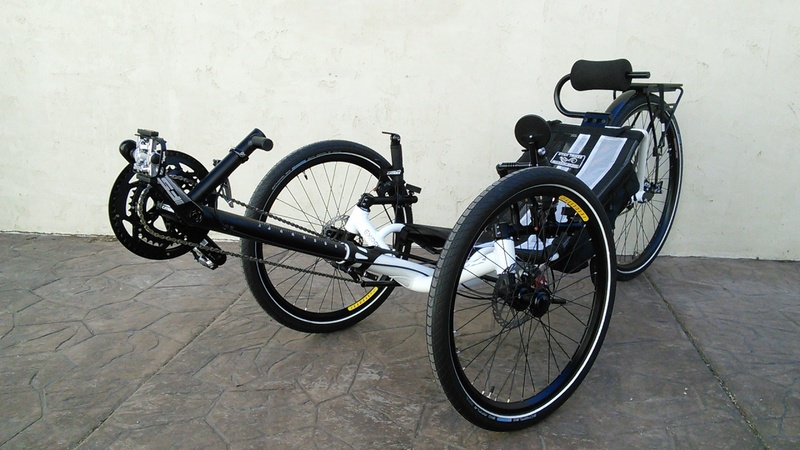 If you've ever ridden the Catrike Expedition, then you know how AWESOME the Annihilator X-Series is. 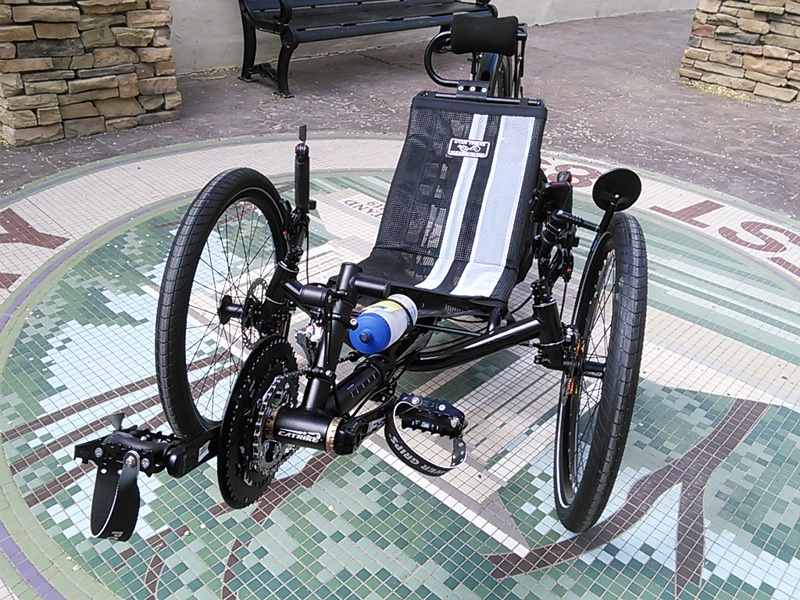 With our larger-diameter, custom wheels it is even faster and rides smoother than ever. In order to fit that HUGE 29er in the back we extended the wheelbase about 3 inches which gave us even more high-speed stability. 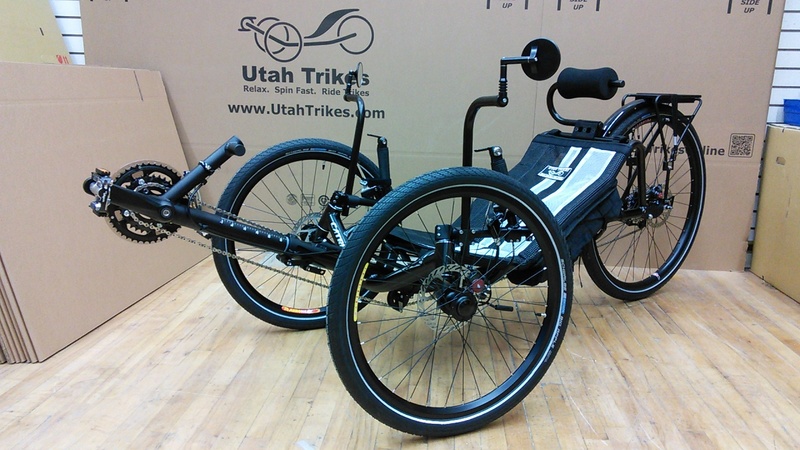 We've road tested this trike at over 60MPH coming down from the summit of Mount Nebo!!! The high-speed handling is the best of any trike we've taken down the course, and we've tried nearly every trike available. That's the truth and not just marketing BS. If you are going to be doing a lot of downhill runs, we do recommend adding the rear disc brake option so you can stop more quickly at higher speeds. The rear brake option also adds a locking parking brake lever. 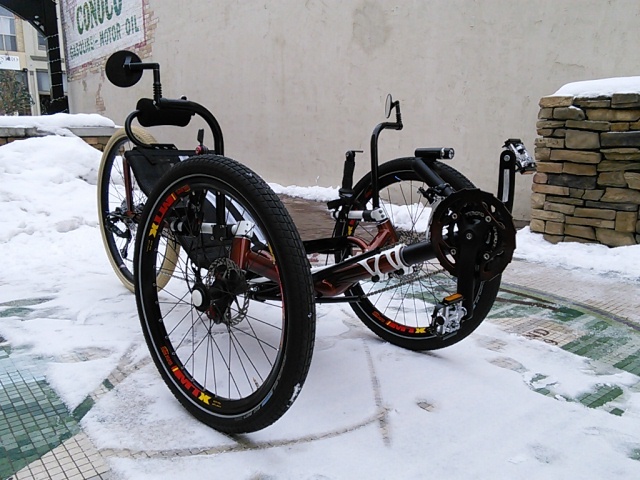 Not only is the Annihilator X-Series an amazing trike to ride, but it looks incredible, too. For a limited time, you can choose the Annihilator X-Series in any of or 30+ custom colors at no extra charge! We like the Satin Black, but with this trike you can't go wrong with any of the Candy colors or Metallics. Or, the Fluorescents. Or, the Mango Yellow. Heck, even white looks great!